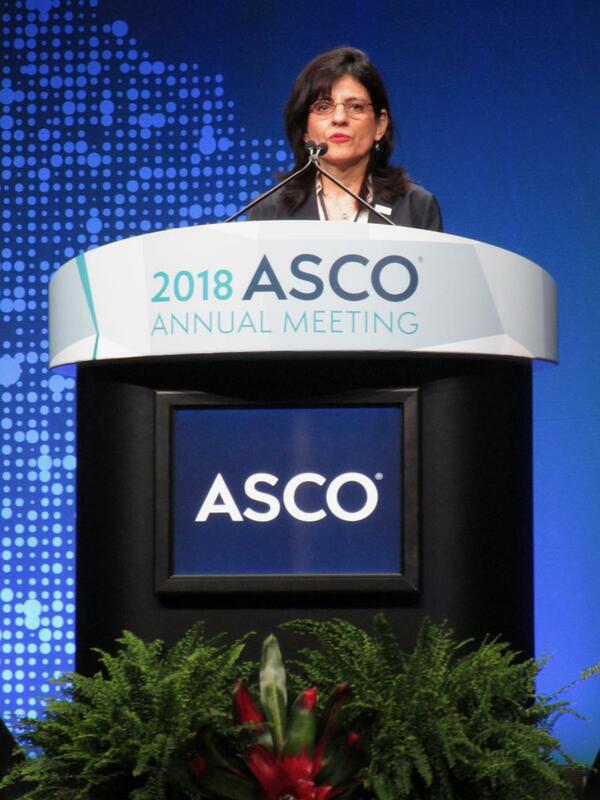 An increased survival benefit for black men with advanced prostate cancer and a stronger response to hormone therapy were the centerpieces of racial disparity studies presented by researchers from Duke’s Prostate & Urologic Cancer Center at the 2018 American Society of Clinical Oncology (ASCO) Annual Meeting. Black men are underrepresented in clinical trials for prostate cancer, despite an almost two-fold greater incidence and mortality of disease in black versus white populations. In a study led by Susan Halabi, PhD, professor of biostatistics and bioinformatics, researchers pooled data from nine randomized phase 3 trials of more than 8,000 men with advanced prostate cancer who received chemotherapy. Surprisingly, the results showed that chances of survival are as good for black men as for white men on clinical trials. While the median survival was the same (21 months), black men had a 19 percent lower risk for death than their white counterparts when adjusting for important variables. Similarly, in a prospective, multi-site study led by Daniel George, MD, researchers enrolled equal numbers black and white men with metastatic, resistant prostate cancer who were treated with the anti-hormone therapy, abiraterone, and the steroid, prednisone. Black men had a greater response to therapy, characterized by more dramatic declines in a tumor blood marker called prostate-serum antigen (PSA) and had a longer median time to PSA progression than white men (16.6 vs 11.5 months). “There is an urgent need to explore the underlying genetic differences associated with treatment response," George says. Duke researchers believe the study suggests a potential strategy for new therapies and hormonal treatment plans that could narrow the disparity between survival rates for blacks and whites in prostate cancer.